After more than 35 years travelling the world representing the construction and chemical industries, Bernard readily took the opportunity of early retirement at the beginning of 2006. Apart from participating in 60 government trade missions, many of which were led by royalty and leading government ministers of the time, he also found time writing for trade magazines on travel and economy related issues. In 2003, he was commissioned to write a book, the Business Travellers Handbook - China, which was published the same year and received an excellent review from the China Britain Business Council. In the rare off-duty moments of his overseas travel, Bernard was able to visit museums in many countries and to indulge in his long established interest in the history of archery. Both talks are very popular with Probus Clubs in the North West, Cheshire WI, U3A groups, Rotary and Round Table 41 Clubs. 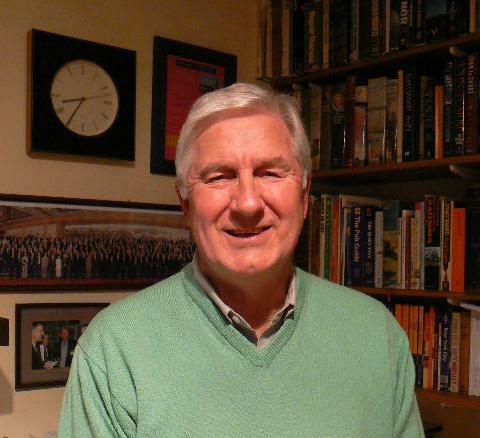 He also gives these talks to history groups and family history societies around the region. Bernard's longbow presentation has culminated from his fascination and interest in the history of the English longbow and the origins of bows and arrows. For further information please visit Bernard's 'Longbow' page, or please call 07966 436073 or send an email to bernarddennis531@gmail.com. The life and times of Sir Thomas Egerton (1540 - 1617) is detailed in this captivating presentation. Thomas was born illegitimately in Cheshire and rose to the highest positions under the rule of Queen Elizabeth I and thereafter, King James I. Sir Thomas is buried in Bernard's home village of Dodleston, near to Chester. After more than five years' research, Bernard gives a unique insight into the life of an influential confidant, lawyer, landowner and spymaster that history has overlooked. For further information please visit Bernard's 'Thomas Egerton' page, or please call 07966 436073 or send an email to bernarddennis531@gmail.com. . The life and times of The Canal Duke, Francis Egerton, third duke of Bridgewater is detailed in this fascinating presentation. For further information please visit Bernard's 'Canal Duke' page, or please call 07966 436073 or send an email to bernarddennis531@gmail.com. To date, Bernard has raised nearly £10,000 for Claire House Children's Hospice Charity through his fascinating and captivating talks. For further details or to arrange a booking, please call 07966 436073 or send an email to bernarddennis531@gmail.com.